Each FCBL Club must contain a minimum of 26 players. ​Of those 26 players, 13 must reside in New England or attend a New England College or University. The college or university can be a 2 or 4 years school. The remaining 13 of the 26 players can be a mix of any player attending a college or university outside of New England. This area includes a college or univerity within the United States, Puerto Rico, Canada, or a Commissioner approved school outside the locations listed ("New England Rule"). 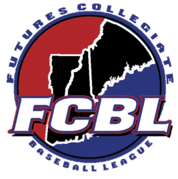 All the rosters in the FCBL are not allowed to have more than 31 players.